As a business owner, I’m constantly looking for ways to serve my customers better. I want to make your online and in-person shopping experience with me to be secure, safe, easy and, best of all, fun! Here are a few changes you’ll see as you shop my web store or shop with me at coming events. First, have you noticed that my shop has a totally new look? I love it! The great guys at Eazihost have done a fabulous job of putting the new site together. Big thanks to Donal, Isa and Vicky. Second, I’m giving you a more secure shopping experience. You asked, and I listened. The new web store is now fully encrypted for safer browsing and shopping. Third, you have more ways to pay. I’m now accepting all major credit cards – MasterCard, Visa, American Express and Discover, as well as Paypal. 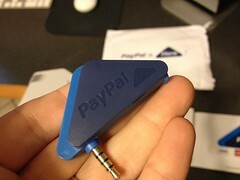 Fourth, when you shop with me in person, I now have the option of processing your credit card payment directly on my phone wherever I have a network or wifi signal, thanks to Paypal Here (my latest fun little gizmo; check out the pic!). That means less paper and no waiting for me to get to a computer before I can process your payment. Fifth, a new wish list option is coming soon. This will enable you to create and send your wish lists via email. It’s a great way to drop those hints about what you’d like for Christmas and an easy way to share your gift ideas for other people. I look forward to serving you with faster, safer and more convenient customer care! Last weekend, my older daughter and I went bowling with some friends of ours. It was the first time the girls had been bowling, and it was the first time in over a decade my friend or I had bowled. Suffice it to say, we pretty much sucked at it. At least the girls have the excuse of never having bowled before. While I was at the bowling alley, I thought of how running a business is so similar to bowling. 1. My game is the only one that matters. When I’m at the foul line, it doesn’t matter how the players on either side of me are doing. All that matters is my bowl. Is my position right? Am I keeping my wrist in the right direction? Where are my eyes looking? In running my business, it is really not important to me how my competition is doing. It’s none of my business whether they’re making false claims or not. And it’s doesn’t matter how often they’re marketing their business. These things aren’t even important to me if the competitor is a friend of mine (though I, of course, want my friends to do well). In that moment of attending to my business, all that matters is how I’m attending to my business. 2. When I’m doing what I’m supposed to be doing, not even the performance of my team matters in that moment. Each member of a team has his or her tasks, his or her responsibilities and his or her duties, just as I have mine. When I trust my team, then I can trust that each member will do what he/she should be doing, which leaves me free to attend to my tasks and responsibilities. This trust and empowerment, combined with personal responsibility, ensures that the “big picture” work gets done quickly, efficiently and in a most excellent way. 3. I need to focus on where I want my ball to go. 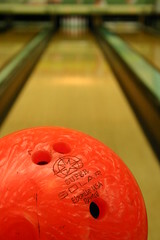 In bowling, the best chance for a strike is when the ball hits the pins between the center pin and the pin either to the immediate left or the immediate right of the center. Hit the 1 pin dead-on, and you’re almost guaranteed to get the dreaded 7-10 split. The eyes look down the lane at the spot where I want my ball to go, then they come back up the lane to the arrows on the lane, and I use those arrows to guide me in aiming my ball. In business, it’s great and highly advisable to look at the big picture, to look into the distance to see where the business will end up. This is a huge part of 3- and 5-year plans and business projections. However, I can’t run my business in the day-to-day by looking 5 years down the road, not knowing what all could happen in that time. So, while still keeping the long-range plans in mind, I hone in my focus to what is right in front of me now. I concentrate on those things, knowing that they will help me get to the long-range goals. Do you like bowling? What are some ways bowling relates to business that I missed?